Applied sampling technology allowed to obtain new excellent patches, which in combination with Kronos HD-1 engine sound really superbly and very inspiring. 128 programs from Earth set provide the sounds in such musical categories as: – MotionSynth, SlowSynth, Vocal, FastSynth, Bass, Short Decay, Lead, Woodwind, Bells, Guitar, Piano. Controllers programmed to each patch (joystick, 2 switches over joystick, ribbon and Vector Joystick ) have significant impact on sound of all 128 programs. New set is an effect of a dozen or so months of work with samples and Kronos programming. These new sounds will be very useful in various musical genres, but first of all will allow you to enter a new sound space. 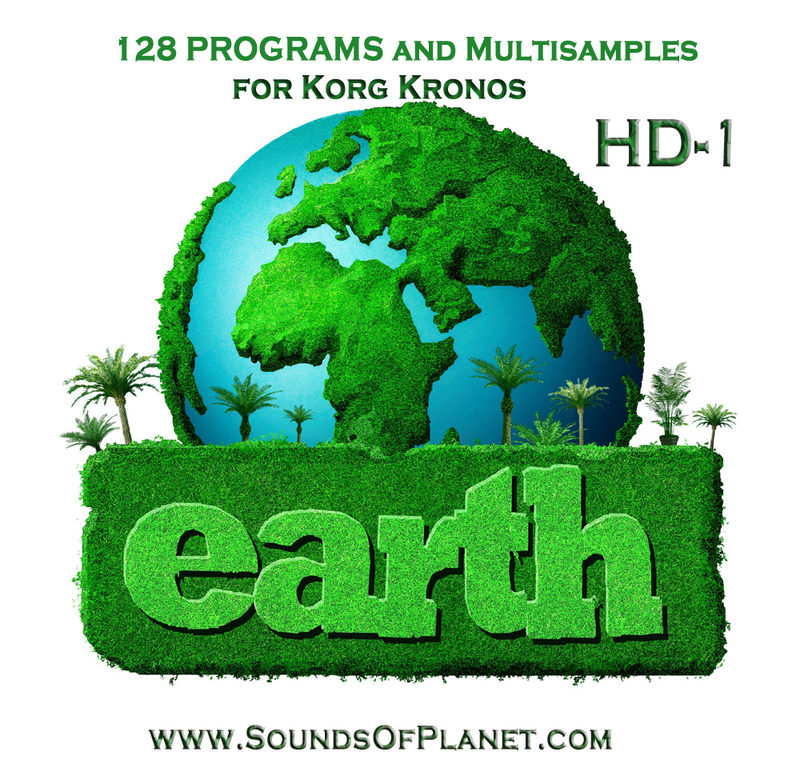 Earth– a sound set really necessary to get the best out of your favourite Korg machine.